A reference is invited to the circular DPSS.CO.PD.No. 316/02.10.002/2014-2015 dated August 14, 2014 on the captioned subject. The circular, inter alia, advises that the number of mandatory free ATM transactions (inclusive of both financial and non-financial transactions) for savings bank account customers at other banks’ ATMs is reduced from the present five to three transactions per month for transactions carried out at the ATMs located in six metro centres, viz. Mumbai, New Delhi, Chennai, Kolkata, Bengaluru and Hyderabad. 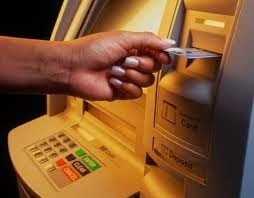 Prior to the issuance of the latest instructions, banks were mandated not to charge any fees to their savings bank account customers for five ATM transactions (inclusive of both financial and non-financial) in a month carried out at other bank ATMs irrespective of the location of the ATMs. With the issuance of the latest instructions while this overall cap remains unchanged, THREE transactions (inclusive of both financial and non-financial) would be free of charge if carried out at other bank ATMs located in six metro centres,viz., Mumbai, New Delhi, Chennai, Kolkata, Bengaluru and Hyderabad. Accordingly, if transactions are carried out at both the six metro centres and other locations, the total number of transactions (inclusive of both financial and non-financial) free of charge at other bank ATMs would continue to remain at FIVE. As indicated in the above circular dated August 14, 2014, banks are,however, free to offer more number of free transactions per month at other bank ATMs as well as own ATMs in any geographical location. Banks are also free to decide on the combination (for metro & non-metro locations) of free transactions while adhering to the minimum requirements. Further, attention is drawn to the provisions indicated in para 4.1(iv) of RBI Master Circular (on Customer Service in Banks) RBI/2014-15/72 DBOD No. Leg.BC.21/09.07.006/2014-15 dated July 1, 2014 placing certain restrictions on the number of withdrawals permitted in small/no frills/basic savings bank deposit accounts, including ATM withdrawals, during a month. It is clarified that the applicability of free transactions (inclusive of both financial and non-financial) at other bank ATMs to small / no frills / basic savings deposit account holders as indicated in our circular dated August 14, 2014 is subject to the provisions indicated in the above Master Circular as amended from time to time. Other provisions of circular dated August 14, 2014 will remain unchanged. The directive is issued under Section 10(2) read with Section 18 of Payment and Settlement Systems Act 2007 (Act 51 of 2007).